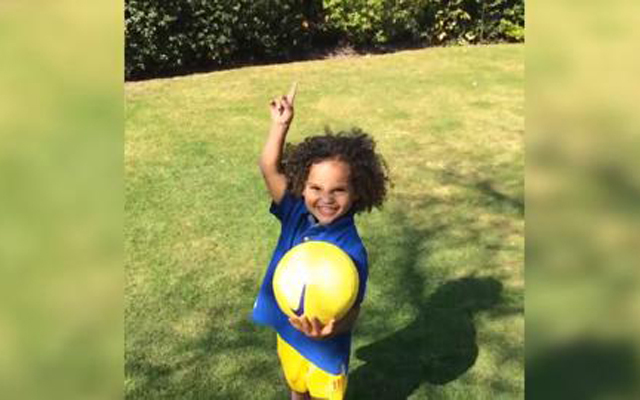 We might want to send our scouts to Glen Johnson’s back garden after the defender’s young son proved that he might have a footballing future just as bright as his fathers. Watch in the video below as the youngster hits the crossbar on demand, after telling his Dad that he would be imitating his Liverpool teammate, Daniel Sturridge. Although he was too shy to copy Sturridge’s celebration, he had no qualms about repeating the trick moments later, as you can see in the second video. Johnson is widely expected to leave Liverpool this summer, with his contract set to expire at the end of the season (via The Telegraph). The 30-year-old full-back had made 199 appearances for the Reds since joining us from Portsmouth in 2009, scoring nine times. His impressive CV also includes spells with Chelsea and West Ham United, while he’s even picked up 54 caps for England. While he’s come in for some criticism in recent months, his experience will still be missed. However, on this evidence, perhaps we could have a ready-made replacement raring to go. Got a player on our hands here…..